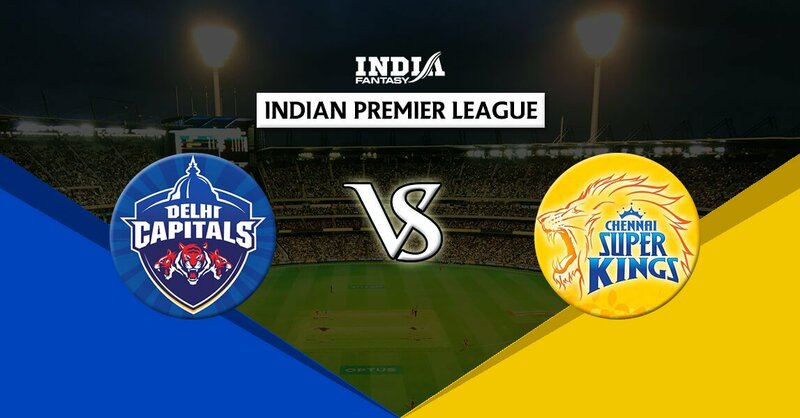 IPL 2019: Delhi Capitals and Chennai Super Kings have started victorious in the 12th season of the Indian Premier League (IPL). There is a fight between the two teams on Delhi's Ferozeshah Kotla ground today. Delhi Capitals had defeated Mumbai Indians in their first match, while Chennai Super Kings had defeated Royal Challengers Bangalore in their home ground. The Delhi capitals, who have been on the lower rungs of the previous season in the IPL, have made a winning start in the league much later. But, Delhi Capitals will have to be cautious with the Chennai Super Kings, who are captained by experienced Mahendra Singh Dhoni. In the match, once again, all eyes will be on young wicketkeeper-batsman Rishabh Pant, who scored an impressive 78 off only 27 balls in the last match with the help of seven fours and seven sixes. Pant will have to be cautious of the spin trio of Harbhajan, Ravindra Jadeja and Imran Tahir, who played an important role in staging the Royal Challengers Bangalore for 70 runs in the previous game. In bowling, the team will again expect Ishant Sharma and Kagiso Rabada to do well, who took 2-2 wickets in the last match. But, there is a need to return to the Akshar Patel who spent 42 runs in the last match. - Delhi Capitals vs Chennai Super Kings match will be the fifth match of IPL. Which is to be played on Feroze Shah Kotla ground in Delhi. - The competition between the two teams is to be played at 8 o'clock in the night. - Indian time will be tossed at 7:30 in the evening and the match will start from 8 o'clock. - This match will be shown on the channels of live telecast star sports network. - Match for Hindi commentary of IPL matches can be seen on Star Sports Hindi. - You can watch online live streaming of Delhi Capitals versus Chennai Super Kings match on Hotstar. Delhi Capitals: Shreyas Iyer (Captain), Rishabh Pant (wicketkeeper), Prithvi Shaw, Amit Mishra, Inves Khan, Harshal Patel, Rahul Tahiti, Jayant Yadav, Manjot Kalra, Colin Munro, Chris Morris, Kagiso Rabada, Sandeep Lamichane, Trent Bolt , Shikhar Dhawan, Hanuma Vihari, Akshar Patel, Ishant Sharma, Ankush Bains, Nathu Singh, Colin Ingram, Sherfen Rutherford, Chemo Paul, Jalaj Saxena, Bandaru Ayyappa. 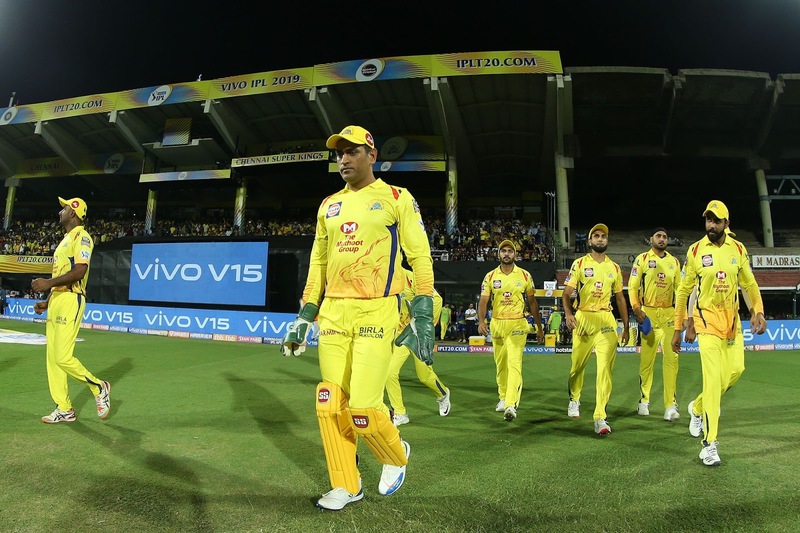 Chennai Super Kings: Ambati Rayudu, Shane Watson, Suresh Raina, Mahendra Singh Dhoni (Captain and wicketkeeper), Kedar Jadhav, Ravindra Jadeja, Dwayne Bravo, Deepak Chahar, Shadurl Thakur, Harbhajan Singh, Imran Tahir, Murali Vijay, Dhruv Shourie, Faf Du Plessis, Ruturaj Gaikwad, Mitchell Sentner, David Wiley, Sam Billings, Sameer, Monu Kumar, Karna Sharma, K.M. Asif, Mohit Sharma. Delhi Capitals: Prithvi Shaw, Shikhar Dhawan, Shreyas Iyer (captain), Colin Ingram, Rishabh Pant, Kemo Paul, Akshar Patel, Rahul Tahitia, Kigiso Rabada, Trent Bolt, Ishant Sharma. Chennai Super Kings: Shane Watson, Ambati Rayudu, Suresh Raina, Kedar Jadhav, Ravindra Jadeja, Mahendra Singh Dhoni (Captain), Dwayne Bravo, Deepak Chahar, Shardul Thakur, Harbhajan Singh, Imran Tahir.